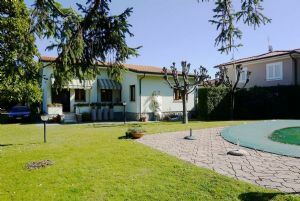 Villa Futura in Forte dei Marmi is a real estate for rent new furnished completely with prestigious furniture in May 2013. The location, in a private and quiet area, making it ideal for a holiday on the good taste and tranquility. entrance hall lounge dining room, kitchen and bathroom, veranda for dining in the garden. Upstairs three bedrooms and two bathrooms. The villa has air conditioning for each room wi-fi, satellite TV with televisions located in the living room and bedrooms. 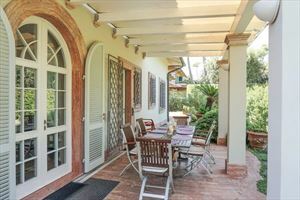 Also the well-tended garden that surrounds the villa, has parking and has an access with automatic gate and driveway.